Science has come a long way in its fight against cancer, however, the human body’s complexities in relation to cancer are yet to be conquered. Glioblastoma is one such form of brain cancer which, when it gets aggressive, can make a man meet his death in a little over than an year. This despite treatment. Glioblastomas (GBM) are tumors that arise from astrocytes—the star-shaped cells that make up the “glue-like,” or supportive tissue of the brain. These tumors are usually highly malignant (cancerous) because the cells reproduce quickly and they are supported by a large network of blood vessels. Generally found in the cerebral hemispheres of the brain, they can be found anywhere in the brain or spinal cord. Cure against this dreaded malignancy is far from coming, however, scientists at the Indian Institute of Science (IISc) and the National Institute of Mental Health and Neurosciences (Nimhans) have discovered the pathway that make these cancer cells combative. While a cure is still a long way off, scientists at the Indian Institute of Science (IISc) and the National Institute of Mental Health and Neurosciences (Nimhans) have found the pathway that makes the tumour cells more aggressive. The recent issue of the Journal Neuro-oncology carrying the team’s investigation, explains how the IGFBP-2 protein(insulin-like growth factor binding protein 2) present in the extracellular fluids, surrounding the cell makes the tumour intrusive. 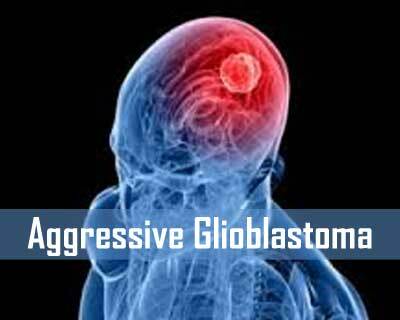 It has been seen that patients with aggressive forms of glioblastoma have higher IGFBP-2 levels in their serum. The IISc-Nimhans study reveals that it is the beta-catenin protein that acts as a pathway for IGFBP-2 , states the Hindu . “IGFBP-2 makes the tumour aggressive by regulating the beta-catenin, which is shown to be very important for making tumour aggressive,” said Paturu Kondaiah, Professor, Department of Molecular Reproduction Development and Genetics, IISc, and the lead member of the study. According to scientific observations beta-catenin level is higher when the IGFBP-2 level in the glioblastoma cells is high; and when found to be low, the IGFBP-2 protein is also seen in low measure. The beta catenin unlike the IGFBP-2 that is present outside the cell, shuttles both in and out of the nucleus of the cell. When present inside, it affects protein production. It has also been discovered that GSK3, another protein, gets inactivated if the IGFBP-2 levels are high, resulting in the impairment of the degradation of beta catenin, inside the cell. This in turn leads to beta catenin travelling to the nucleus of the cell and activating production of new proteins, which in turn help in the proliferation of tumour cells, which start invading other tissues, states an IISc release. The researchers are now trying to devise ways to delineate the pathways and create blockages for other proteins involved in IGFBP-2 assisted tumour proliferation. Impeding the path of IGFBP-2, according to Professor Kondiah, could be a good therapeutic strategy.